Since garbage disposals don’t take up much space in your kitchen and aren’t visible like other appliances such as your stove, refrigerator or microwave, they don’t usually capture your attention until they aren’t working properly. Our licensed and insured plumbers in Missouri City, TX, are experts at kitchen disposal replacements and repairs. Although very small, garbage disposals are extremely powerful devices that require routine maintenance to assure that they are functioning at their peak level. Given that garbage disposals are electrically powered devices utilized to shred food particles with the sharpness of their blades, these appliances should be tended to by knowledgeable plumbing professionals. Our certified technicians can provide your home or business with top-notch garbage disposal services, including kitchen disposal replacement and repair. 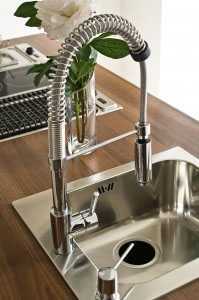 One sign that your garbage disposal may be in need of replacement is that it fails to turn on, or runs inconsistently. If you flip the switch to turn on your disposal and nothing happens, that could signal a damaged or faulty switch. Since the switches on kitchen disposals are used so often, over time they can fail to function. If the switch isn’t to blame for your disposal not turning on, there could be an issue with the disposal motor or power supply that is responsible for making the blades of your disposal spin. Our technicians can replace your garbage disposal switch or replace your kitchen disposal safely, quickly and professionally. Another common issue with garbage disposals is when they consistently jam or back up. Although the blades of kitchen disposals are very sharp, they are meant to shred only food particles. Sometimes items like glass, metal or bones find their way into the disposal and can cause damage to the blades or a backup. Our capable experts can diagnose the cause of your clog or backup and perform the necessary disposal repair or replacement that is needed. If you notice that your kitchen disposal is making loud or strange noises when in use, this is an indicator that the motor may be failing or that parts such as screws or flywheels are loose in the unit. Our plumbing technicians can identify the source of the noise and replace or repair your kitchen disposal. As with any plumbing item in your home or business, if you notice a leak, that is a clear sign that there is something amiss with your garbage disposal. Leaks in kitchen disposals can be caused by a variety of things, such as the natural deterioration of screws and gaskets over time, small holes or faulty valves. 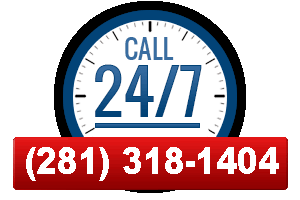 Our knowledgeable and friendly technicians can determine the cause of the leak and quickly repair or replace it. We provide superior kitchen disposal solutions for your home or business. We can expertly maintain, repair or replace your garbage disposal in a timely manner, and always with the utmost professionalism.